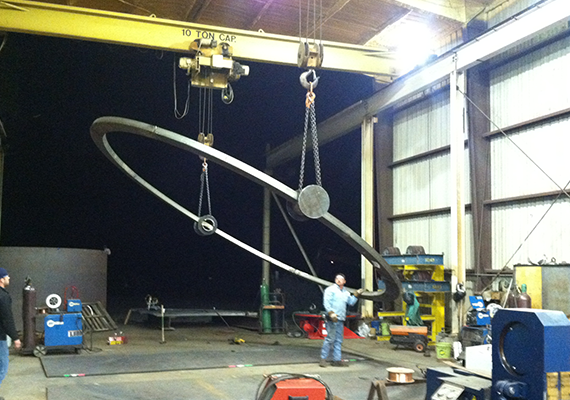 MacAljon Fabrication is a full service steel and metal fabrication company with ASME and API capabilities. MacAljon provides complex and custom fabricated products in stainless steel, carbon steel, and a variety of other alloys to a wide range of industries including chemical processing, pulp and paper, oil and gas, water treatment, and many more. In our 50,000 square feet of fabrication space in Savannah, Georgia, we employ the latest technology for in-shop fabrication services in order to deliver the highest levels of quality and efficiency our customers. At MacAljon Fabrication we understand the values of production. We are certified ISO 9001:2008 Quality Program, we’re dedicated to the highest quality standards of fabrication, from tanks and vessels to structural steel and piping. Quality and efficiency are the hallmarks of any successful business and at MacAljon, they’re our first priorities. That’s why customers return time and again to us for their fabrication needs. 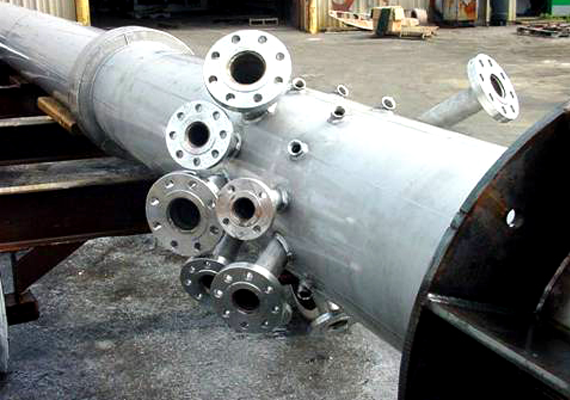 We fabricate, repair and erect API 650 or 620 vessels and provide fabrication to AWS standards. MacAljon’s fabrication capabilities include carbon or high-strength alloy steels, conventional stainless steels and most non-ferrous metals. Our CAD designers collaborate with clients to customize their products and prepare all fabrication drawings after designs are complete. MacAljon has certified welders on various types of alloys, including stainless and carbon steel, as well as documented welding procedures for these metals. We have a fully equipped department to provide all steps of manufacturing, from design and fabrication to blasting, painting and delivery. Our specialized tools facilitate a quality manufacturing process for tanks, pipe, structural steel and specialty fabrication. 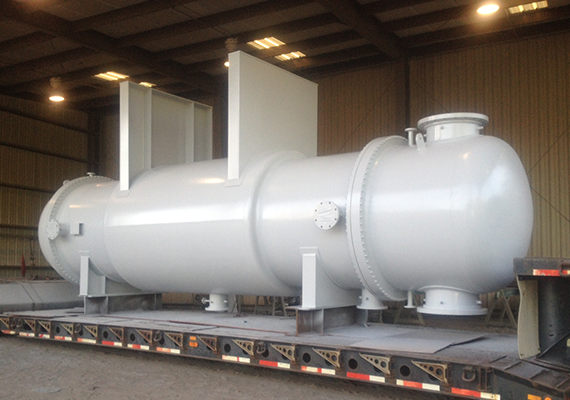 At MacAljon Fabrication, we are an expert designer and manufacturer of custom pressure vessels and storage tanks for the chemical, pulp and paper, oil and gas, power and many other industries. With 25,000 feet of production facility dedicated to structural steel and piping fabrication, MacAljon is ready to fabricate structures of any size. Our talented team of designers and fabricators work with carbon or high-strength alloy steels, conventional stainless steels and most non-ferrous metals. 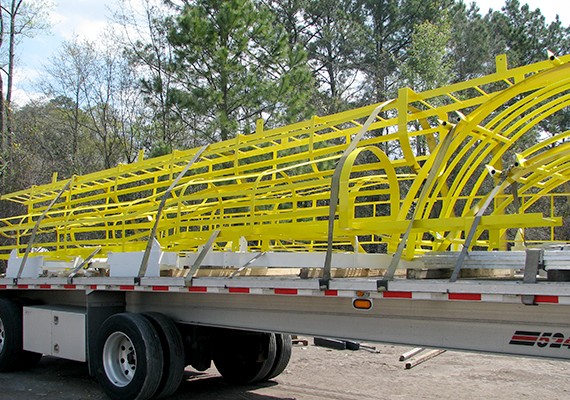 MacAljon’s custom fab services include material handling products and pipe fabrication. With 25,000 square feet of production facility dedicated to structural steel and piping, MacAljon is fully equipped to handle any large-scale pipe fabrication project.